Do You Love Change? Seminars are successful when the atmosphere and service are right. Flipcharts, projectors, screens and video equipment are standard issue today. But for successful learning you also need good service and food tailored specifically to the curriculum. Add to that sportive activity in the breaks or free time, ideally gymnastics, forest jogging or sensory-meditative training, to give the body new energies. A good state of mind during seminar times depends significantly on proper and healthy diet, which ultimately leads to quicker success at learning. The food must therefore be healthy, rich of vitamins and minerals and slim but also satiably. 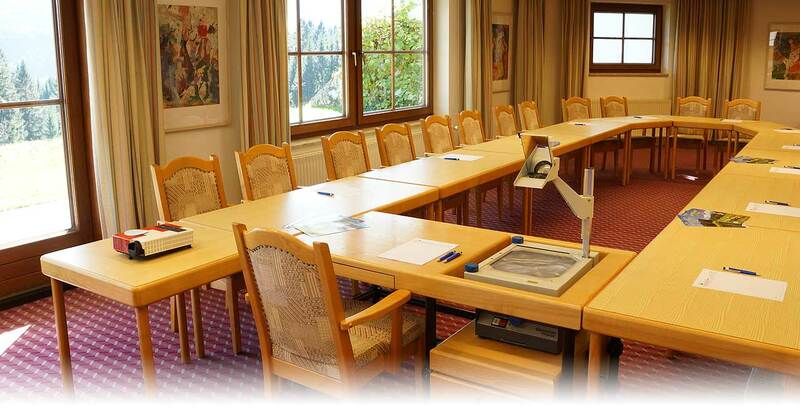 The Glocknerhof offers three seminar rooms (up to 60 people) with large windowed fronts that can be darkened. During breaks you can go straight outdoors and enjoy the scenery. Learning is fun here because the surroundings are right. The Hotel and its staff convey charm and hospitality, and the rooms offer a view of the wonderful mountain panorama of the Upper Drautal Valley. There are an enticing indoor adventure pool, sauna landscape and massages. You are guaranteed variety during your seminar days: Tennis, mountain biking and bowling or archery, rafting and golf are all on the programme. Send us an enquiry or contact us, and we will prepare a customised quotation for your event. The use of the seminar rooms is included in our price. Click here for the seminar and meeting rooms.